Image: Michael Vinodolac and William Owen-Jones. Developer Villa World has broken ground on its latest master planned community, Arundel Springs, delivering new residential land to central Gold Coast. Villa World General Manager of Operations Michael Vinodolac and Division 2 Councillor William Owen-Jones have turned the first sod on the 395-lot project marking the start of civil works. Mr Vinodolac said Arundel Springs had been timed to meet local market conditions. “There is pent-up demand for residential land in the central Gold Coast area due to a shortfall in supply, so this is a prime time to bring Arundel Springs to the market,” he said. Comprising of 306 residential lots and approximately 80 town homes, Arundel Springs is expected to create around 1500 jobs during its staged development. Mr Vinodolac said Villa World would spend $1.2 million remodelling and revegetating a central green space adjacent to the 25 hectare site in Greenacre Drive. “Arundel Springs will be a truly ‘green’ community which takes advantage of established walking trails and kilometres of surrounding walkways, which will be beautified as part of Villa World’s construction program,” he said. Initial construction works at Arundel Springs will see the creation of a significant entry statement that will involve the beautification of nearby green areas. Division 2 councillor William Owen-Jones said Villa World’s significant planning of Arundel Springs would ensure the natural beauty of the area was protected and enhanced. 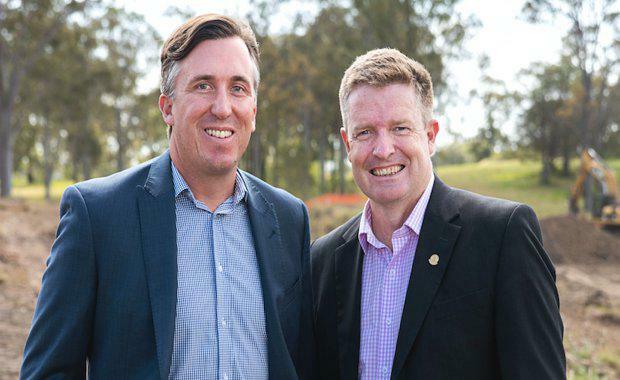 “It will also deliver an affordable land option to a central Gold Coast location that is sought after by families,” he said. Arundel Springs is close to primary and secondary schools, shops, and is just metres from a new light rail stop connecting with Griffith University, Gold Coast University Hospital, Southport, Surfers Paradise and Broadbeach. Home building at Arundel Springs is expected to start by mid 2017 while the townhouse component of the community will be under way by mid 2017. Arundel Springs’ land lots will be launched to the market in coming months and will range in size from 300 to 811 square metres.